Celebrations are underway this week in Kingsville to honour Canada’s first conservationist during National Wildlife Week. The Canadian government declared National Wildlife Week in 1947 to commemorate the work of Miner and all of his conservation efforts. A celebration took place for Miner's 153rd birthday in Kingsville on Tuesday, but a number of other events are planned for the rest of the week. 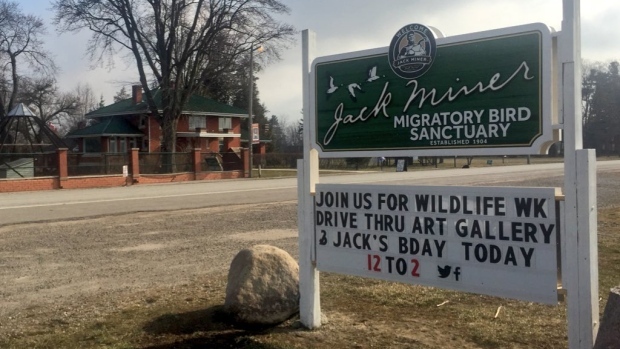 Krystle Delbin, the community engagement coordinator at the Jack Miner Bird Sanctuary, says they have a concert planned for Friday and a birthday fundraiser on Saturday. Delbin adds they will showcase some colourful pieces of from the Jack Miner drive-thru art gallery on banners throughout Kingsville from now until October. The Jack Miner sanctuary includes the historic house that Jack built in 1918, plus a pond area where people can feed the birds and more than five kilometres of trails.